As promised, we're doing another demo at Calver. The next one is on 12th March, and is quite a big occasion for us, as we will be welcoming on board our new demo guy, Sam. He'll be joining me for the day learning the ropes and I will be leading the rides and setting you up on the bikes. This was the demo from 2015 about the same time, so fingers crossed for similar weather! Still, the weather at the Feb demo was minging and we still had a lot of fun, so it doesn't really matter either way! We'll also be having a bit of a Yard Sale with ex-demo and 2nds bikes, kit, and clothing available at bargain prices. 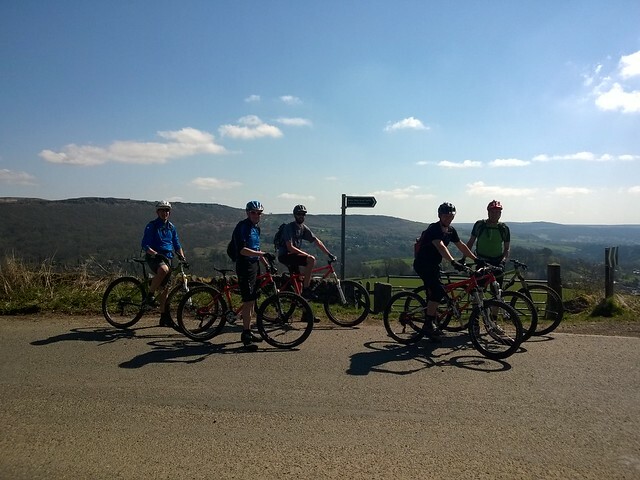 That's plenty of opportunities to get involved, and as always, you're more than welcome to book onto more than one ride if you want to try out different sizes, or you just want to maximise your time on a bike. There's also a load of great riding locally, so making a day or weekend of it makes a lot of sense. One thing we need you to do is book on to avoid missing out on the size or ride that you want. So email demo@cotic.co.uk or call 07970 853531 to book onto a ride with your preferred ride time and size, and we'll get you booked in and send you detailed instructions on our location and what you need to bring. See you on the 12th?